The number of disasters has doubled globally since the 1980s, with the damage and losses estimated at an average US$100 billion a year since the new millennium, and the number of people affected also growing. At the same time, many stakeholders believe that humanitarian aid has not been as successful in delivering on its goals due to a lack of coordination among NGOs, which results in duplication of services. Within three weeks following the 2010 earthquake in Haiti, 1,000 NGOs were operating in Haiti. News media attention of insufficient water supplies resulted in immense donations to the Dominican Red Cross to assist its island neighbor. As a result, Port-au-Prince was saturated with cargo and gifts-in-kind, so that shipments from the Dominican Republic had to be halted for multiple days. 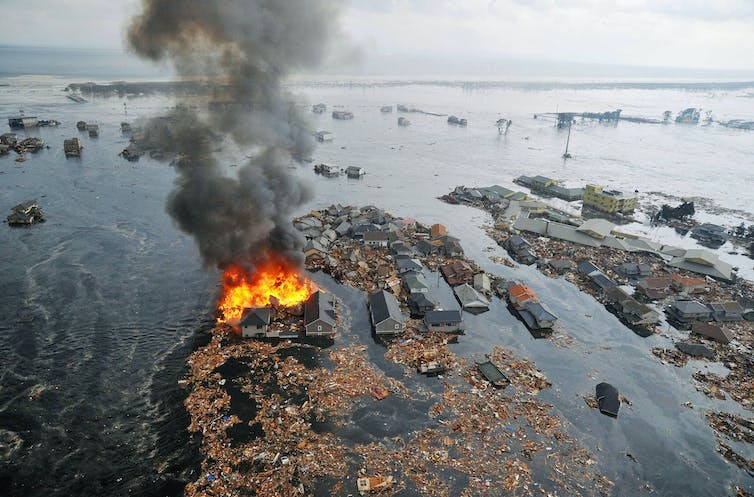 After the Fukushima disaster, there were too many blankets and items of clothing shipped and even broken bicycles. The delivery and processing of wrong supplies also adds to the congestion at transportation and distribution nodes, overwhelms storage capabilities and results in further delays of necessary items. 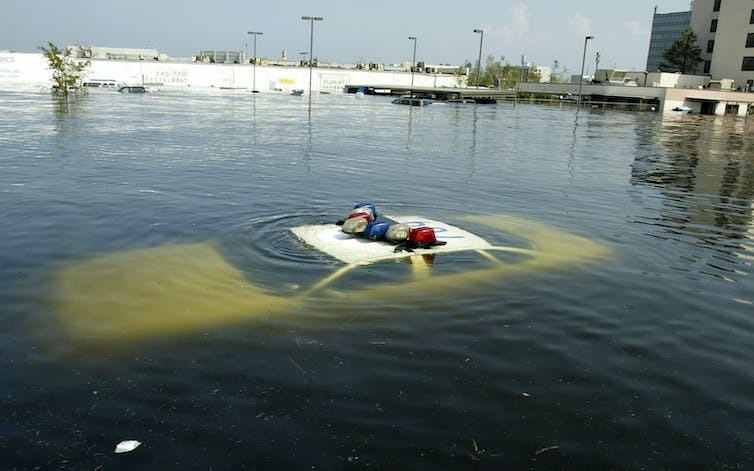 The flood of donated inappropriate materiel in response to a disaster is often referred to as the second disaster. The economics of disaster relief, on the supply side, is challenged as people need to secure donations and ensure the financial sustainability of their organizations. On the demand side, the victims’ needs must be fulfilled in a timely manner while avoiding wasteful duplication and congestion in terms of logistics. Game theory is a powerful tool for the modeling and analysis of complex behaviors of competing decision-makers. It received a tremendous boost from the contributions of the Nobel laureate John Nash. Game theory has been used in numerous disciplines, from economics, operations research and management science, to even political science. In the context of disaster relief, however, there has been little work done in harnessing the scope of game theory. It is, nevertheless, clear that disaster relief organizations compete for financial funds and donors respond to the visibility of the organizations in the delivery of relief supplies to victims through media coverage of disasters. We modeled the costs incurred in delivering relief supplies, including congestion, the gain from delivering goods (since these NGOs are nonprofits and also wish to do good), plus the financial donations they stand to acquire from media exposure at the disaster sites and compete for. These comprised each NGO’s “utility” function, which each sought to individually maximize. The NGOs also faced constraints in the volume of relief supplies that they had prepositioned and could distribute to victims of the disaster. When the NGOs had to make sure they delivered the minimum needed supplies at each demand point for the victims but did not exceed the maximum amounts set by a higher-level organization. Such constraints guarantee that the victims would be served appropriately while, at the same time, minimizing materiel convergence and congestion associated with unnecessary supplies (a Generalized Nash Equilibrium model because of the common/shared constraints). Such bounds would correspond to policies imposed by a higher-level humanitarian or governmental organization. 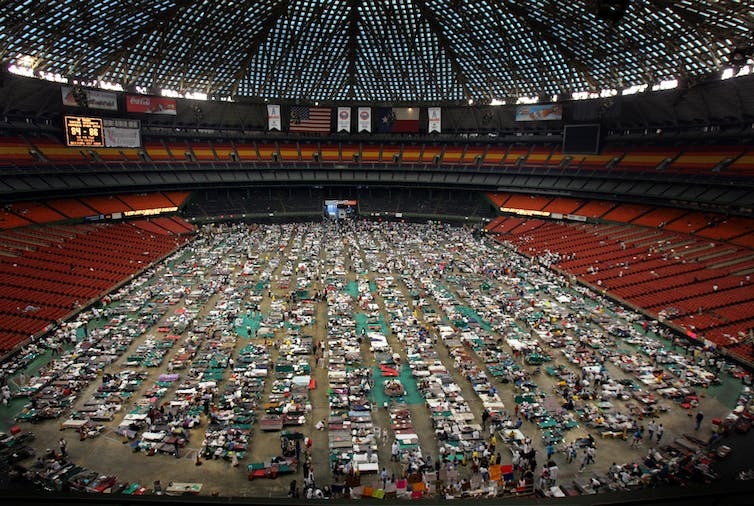 We used a case study of Hurricane Katrina, because of its historic catastrophic nature. We built the models using publicly available data, with the NGOs corresponding to the Red Cross, the Salvation Army and “Other” NGOs collectively. Since Louisiana suffered the brunt of the damages, we selected, as demand points, 10 parishes in Louisiana. Applying computer-based algorithms, we computed the relief item flows and the utilities of the NGOs in the noncooperative games without imposed policies in the form of bounds (Nash Equilibrium) and with (Generalized Nash Equilibrium). A comparison of the outcomes under the Nash and Generalized Nash Equilibria quantifiably showed that coordination is critical to achieving better outcomes in humanitarian relief operations. The Generalized Nash solution is not only capable of eliminating the possibility of having under- or over-supply, it guarantees – through competition – the efficient allocation of resources once the minimum requirements are met. Without such imposed bounds, relief organizations may choose an “easy” route in delivering supplies because it is less costly, rather than the route that will end in a destination where there are the most in need. Therefore, the game theory framework has significant benefits both for the disaster victims and for the NGOs. In addition, we also demonstrated that, under certain circumstances, the Generalized Nash solution is capable of attracting more donations than the unrestricted, competitive solution. Our study has numerous implications to guide coordinating authorities. It provides a strong argument for the importance of these coordinating bodies in successful humanitarian relief efforts. Specifically, our research demonstrates that, if authorities can impose the constraints on upper and lower demand levels for relief supplies, they can provide an effective mechanism to improve the disaster response. Response teams need a certain amount of supplies to save lives but not so much that it results in congestion and waste. Governmental agencies or NGOs need to come together to set these values. The Generalized Nash Equilibrium Game Theory model provides managers of NGOs with a strategic framework to analyze their interactions with other NGOs, while also providing insights into their own operations. Moreover, as our study reveals, the framework answers fundamental questions that every NGO must address: (1) How and where should we provide aid? and (2) How can we finance those operations? A computer-based model that can answer these questions provides an actionable framework for NGO decision-makers. Our study further suggests that, despite the competition among NGOs for fundraising, there are strong reasons for them to collaborate, thereby strengthening their disaster response and achieving better results for those in need. In fact, our game theory analysis quantifiably shows that cooperation among NGOs may increase financial donations to all NGOs. The author of this article is Anna Nagurney, John F. Smith Memorial Professor of Operations Management, University of Massachusetts Amherst. This article was originally published in The Conversation under a Creative Commons Attribution No Derivatives license. Read the original article here. If you found this article interesting, you may also like a new book out called The Microeconomics of Complex Economies that incorporates game theory, modeling approaches, formal techniques, and computer simulations to teach useful, accessible approaches to real modern economies. If you would like to read additional chapters from the book, visit ScienceDirect here. If you would like to purchase a print or e-copy of the book, visit the Elsevier website here. Apply discount code STC315 to save up to 30% off the list price and free global shipping.